World champion Peter Sagan and Olympic omnium gold medallist Elia Viviani lead the field for the one-day Cyclassics road race on Sunday in Hamburg. The race over 216.4 kilometres will see top sprinters do battle in a warm-up for the Vuelta a Espana, which starts next Saturday. The 2017 Cyclassics winner Viviani will want to bounce back from finishing only 20th last Sunday in the road race at the European Championships in Glasgow on a hillier course. Germans Andre Greipel and John Degenkolb, both Tour de France stage winners, will be battling to ensure Sagan and Viviani do not steal the limelight. Like Viviani, who took omnium gold at the Rio de Janeiro Olympics, Sagan will be hoping to rediscover his form ahead of the Vuelta. Sagan was a non-finisher at the European Championships road race, feeling the effects of a crash on the Tour de France, and the predominantly flat course in Hamburg boosts his chances. 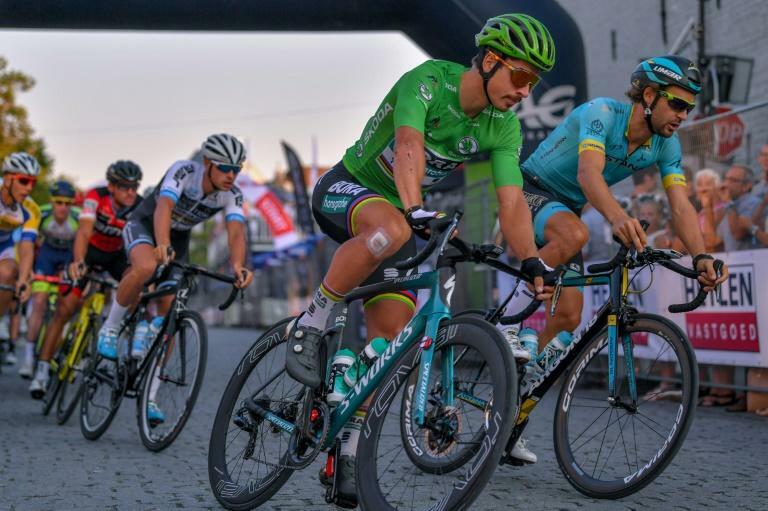 "I'm looking forward to the Cyclassics and it's profile -- the Hamburg course should suit me," said Slovakia's Sagan, who leads German team Bora-hansgrohe. Arnaud Demare of France, who took the title in 2012, finished second to Viviani in Hamburg last year and is among the favourites. A rising star to watch is Pascal Ackermann, 24, who will wear the national jersey after his victory in the German championships in early July. "It's a great honour, I'm very excited," Ackermann told AFP subsidiary SID. Sunday's race in Hamburg starts a big week for German cycling. Tour de France winner Geraint Thomas has star billing for the Tour of Germany, which starts in Koblenz on Thursday for the first time after a ten-year hiatus.